Within the larger-scale "Label-Charleroi" exhibition, we had the opportunity to collaborate with GVK, a crude steel stockist, for the completion of a specific project. The company placed at our disposal: steel plates and 2 cutting machines; one very accurate plasma machine for small thicknesses, and one cutting torch allowing to work on plates up to 120mm thick.
. 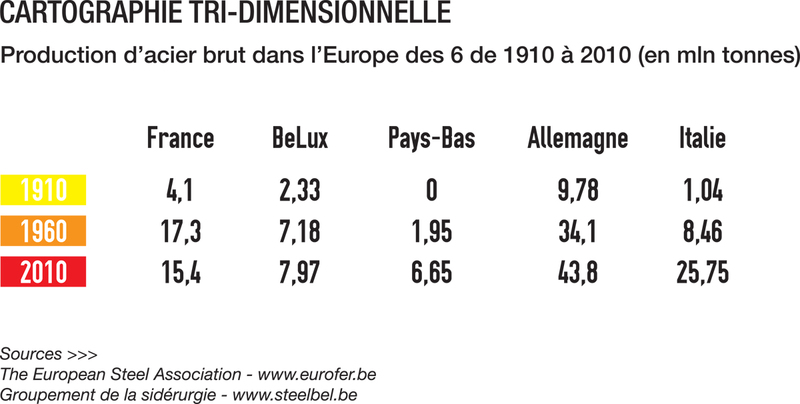 The result: 2 three-dimensional graphical interpretations comparing the production of steel within the Europe of Six (Germany, France, Italy, Belgium, Luxembourg, and the Netherlands: member states of the European Coal and Steel Community) between 1910 and 2010. 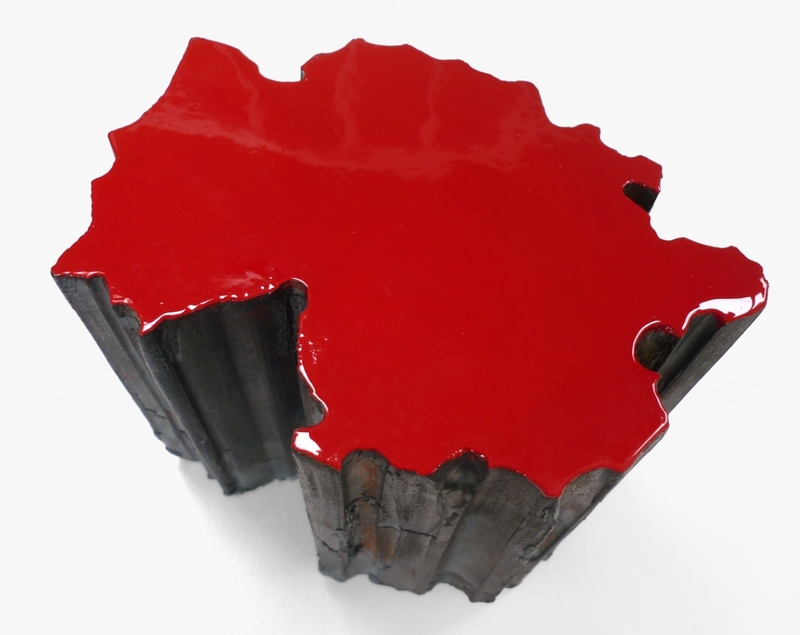 In the first interpretation, country surfaces are modified depending on their production; the thickness of the steel plates is unchanged while country sizes are relative, which results in tiny "jewellery" pieces designating less productive countries. 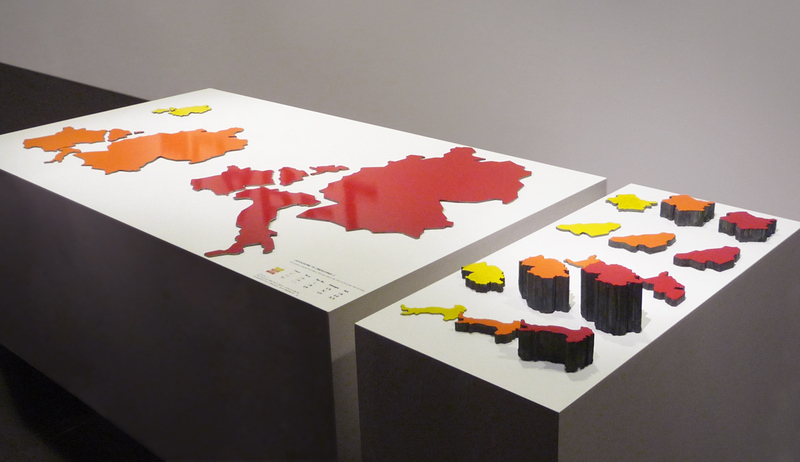 In the second interpretation, the thickness differs while country sizes remain the same. In this case, Germany looks like a big piece of cake 120mm high.